Two people were shot and wounded outside a Northern Virginia shopping center late Friday night, and officers found a chaotic scene of more than 300 people when they arrived. 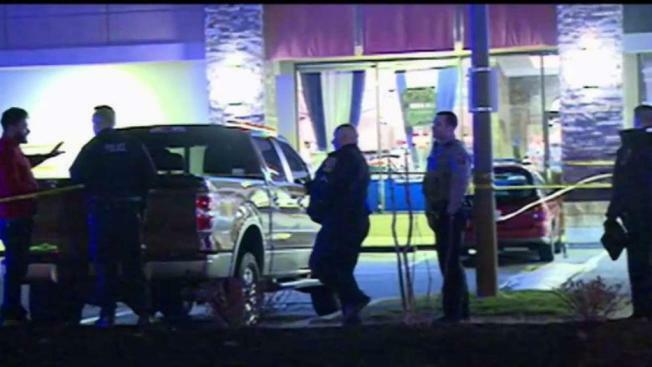 The incident happened in the parking lot of Brookfield Plaza Shopping Center in the 7000 block of Brookfield Plaza in Springfield, according to Fairfax County Police. Police believe one of the businesses in the shopping center was hosting a private event Friday night when a fight broke out inside. The fight spilled out into the parking lot, where two people were shot, although police only encountered one victim that night. Fairfax County Police were called shortly after 11 p.m. for a man who had been shot multiple times. An officer nearby also heard the gunshots and requested help. Officers from three surrounding district stations and Virginia State Police also responded to manage the scene and get the crowds to disperse, police said. The first victim was found at the scene and taken to a local hospital with injuries considered life-threatening. He was still receiving medical treatment as of Saturday morning. Police did not learn about the second victim, a juvenile, until early Saturday morning when he went to at a local hospital with a gunshot wound to the leg about 4:15 a.m.
Detectives are asking for anybody with information to contact the Major Crimes Bureau at 703-691-2131. Those wishing to remain anonymous can submit a tip online at FairfaxCrimesolvers.org or text their tip to CRIMES (274637) by texting "TIP187" plus their message.